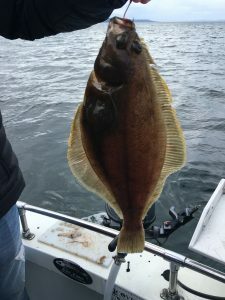 Spending quality time fishing and having fun with family or friends on Puget Sound. This is what we strive to offer you at All Star Fishing Charters. Over 30 years in business with over 30 thousand satisfied customers who have caught over 100,000 fish and still doing it one day at a time with Coast Guard licensed Captains operating certified boats. When you hire a fishing charter, you want to spend quality time fishing and having fun. You also want a captain who knows where to find fish, who runs a clean, comfortable vessel, with quality, well-maintained gear. The best fishing charter companies will help you have an unforgettable day on the water that makes you want to come back and do it all over again. At All Star Fishing Charters in Seattle, your enjoyment, comfort, and safety are our highest priorities. 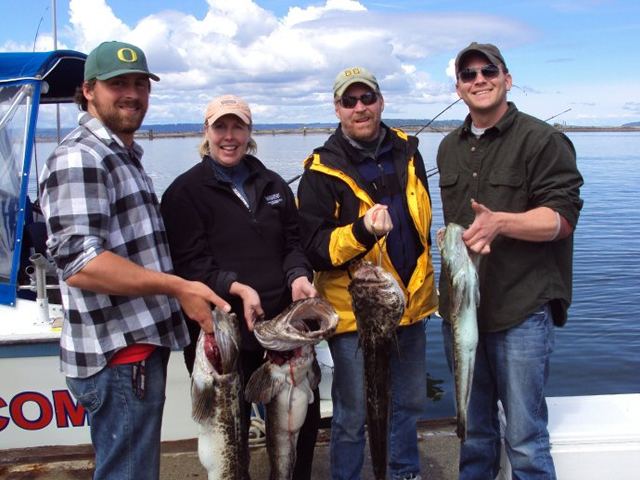 Our professional Seattle fishing charters revolve around your wants and needs. Whether you’re fishing with family, friends, or business associates, we will do everything we possibly can to make sure you get the experience you’re looking for. 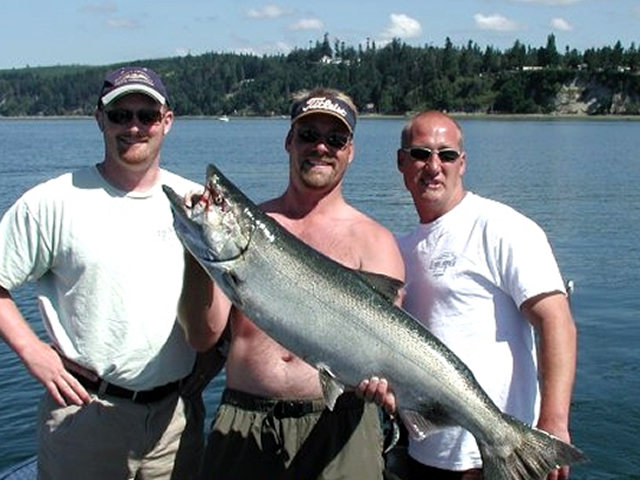 Our Seattle fishing charter skippers know Puget Sound, and have decades of combined experience under their belt. These calm, protected waters are like a personal playground, and our innovative fishing methods maximize your angling opportunities whether you’re fishing for salmon, lingcod or flounder. You can also fish for Dungeness crab by request when the season is open. 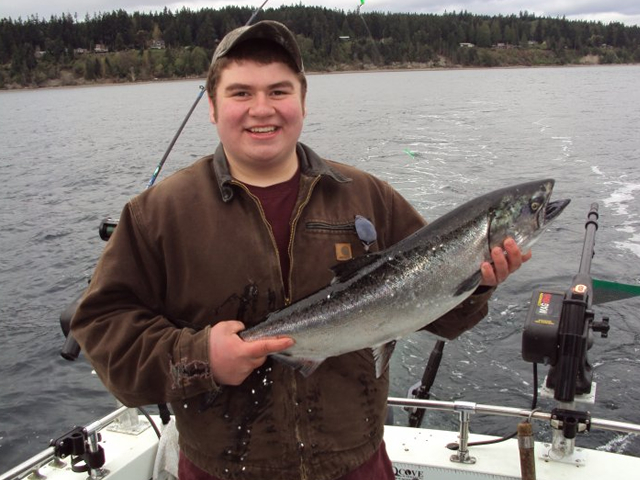 Contact All Star Fishing Charters today to schedule your fun day on Puget Sound. Click the book now button to view our schedule and select your Seattle Fishing charter date or give us a call at 206-316-6561 and we will be happy to assist you or answer any questions you might have. You can catch Seattle fishing like a pro! Pick the Seattle fishing charter that allows you to fish the equipment, lets you hook and fight your fish, all the while treating you with respect and are downright friendly family people just like you. There is no substitute for experience when it comes to fishing – read our reviews and you’ll understand. 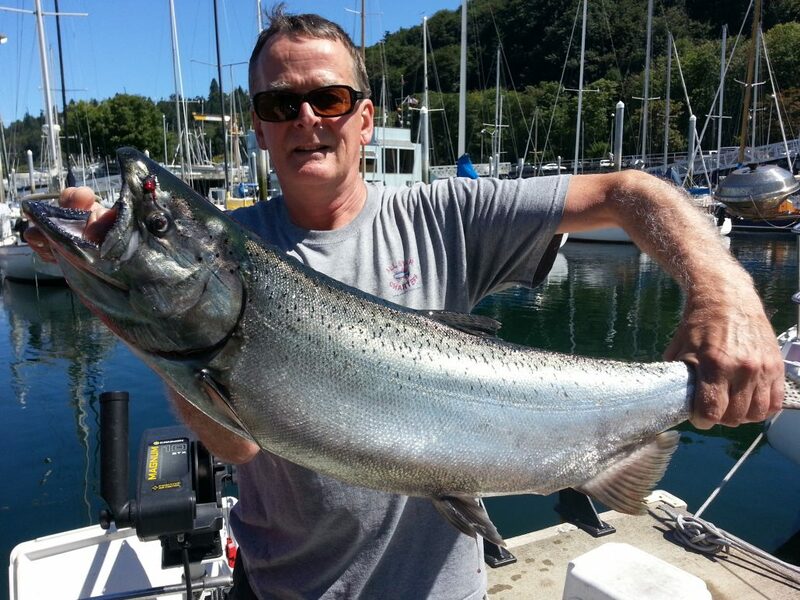 There are plenty of fish in Puget Sound, and All Star Fishing Charters knows how to catch them. We understand that choosing a fishing charter company is always a tough decision as you want to be certain you’re getting the most value for your hard-earned dollar. Look at our online reviews, the quality of our fishing boats, and the reputation of our skippers, and we’re confident you’ll choose All Star Fishing Charters. If you’re ready to catch fish and have fun, click the book now or give us a call today at 206-316-6561. What is included in your Seattle fishing charter? A good fishing charter is all about you having a good experience on the water. We take pride in our jobs as professional captains and work hard to maintain the highest standards in every aspect of our charter business. Fish with All Star Fishing Charters and you will see the difference. 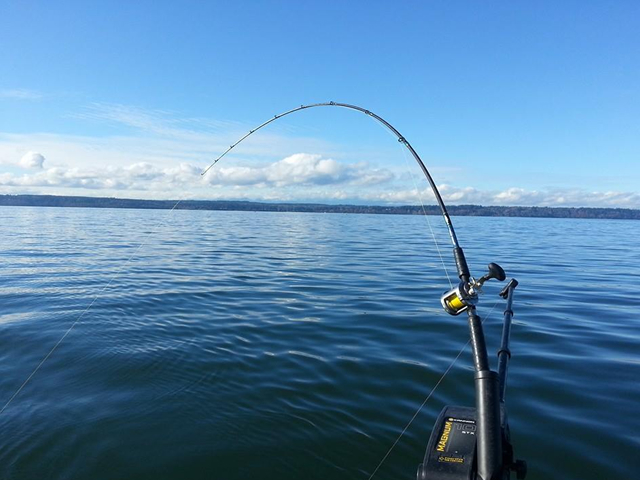 What’s it like fishing on Puget sound waters so close to the City of Seattle? One of the best things about Puget Sound is that you’re protected from the swells and rough seas of the open ocean. You can enjoy your fishing charter and focus on the beauty of this area without having to worry about turbulent seas ruining your day. The views on Puget Sound can be spectacular. To the west are the snow-capped Olympic Mountain Range, and to the east, the Cascades. Beyond Seattle lies Mount Rainier and Mount Baker which can be seen on bright, clear days. Puget Sound contains an abundance of wildlife beyond fish. Chances are good that you will see some, if not many of the following on your fishing charter: Harbor Seals, Sea Lions, Porpoise, all sorts of sea birds taking turns diving on baitfish that are being pursued by schools of salmon. Even the occasional Bald Eagle has been known to swoop in and grab a fish now and then. 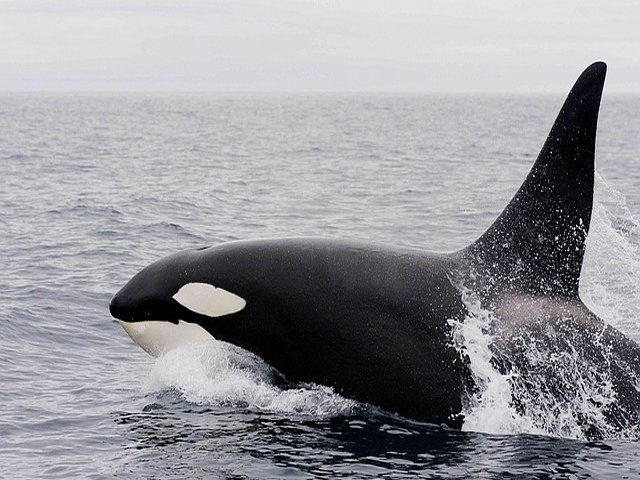 Depending on the time of year, your fishing charter may spot Grey Whales, Humpback Whales or even Orcas (Killer Whales). These are some of the reasons we love where we live and why we enjoy our profession as charter guides. Getting to meet new people and having the opportunity to share in the beauty that is Puget Sound, it’s our favorite part of the job. In Puget Sound, we are blessed with moderate conditions that allow us to fish 12 months a year. Most of that time is spent fishing for salmon and our professional captains have decades of experience that give you the best opportunity to catch these beautiful and tasty fish. Our boats are set up with the latest electronics and tackle to maximize your fishing experience. Our technique of downrigger trolling is far and away the most effective method of catching salmon in the local waters and our captains are more than happy to share that knowledge with you. You’ll learn how we set up the fishing tackle, integrate the use of electronics and how we use the local tides to predict where the salmon are most likely to be on your trip. Regardless if you are an experienced angler or this is your first time ever fishing, our captains will do everything in their power to make sure you have a trip that will leave you with memories that last a lifetime. Summer King Salmon fishing runs during the months of July and August as the mature fish return from the Pacific Ocean and head to their rivers of origin to spawn. These king salmon are the largest we encounter during the year and will occasionally exceed 20 pounds. They have a very firm tasty flesh that is second to none on the dinner table. Summer Kings are known for long powerful runs and battles that can test even the most experienced angler. Winter King Salmon fishing typically starts in November and runs through April. These fish, locally known as “blackmouth” or “winter kings” are juvenile king salmon that feed in Puget Sound most of their life. They are well known for their flavor and tendency to be more consistent feeders than their mature cousins in the summer. You are likely to encounter winter kings in the 4-10-pound range though bigger fish are occasionally caught. Coho salmon fishing typically starts in early July and runs well into October. These fish, which range in size from 3-12 pounds, are known for their acrobatic fighting style on the surface. Unlike their larger king salmon relatives, these fish are more prone to schooling and it is not uncommon to hook more than one fish at the same time. Like the king salmon, this species has a firm tasty flesh that is great on the dinner table. Pink salmon, chum salmon, and sockeye salmon also run in Seattle’s waters, and at certain times of the year, your fishing charter will focus on these species. Pinks, also known as “Humpy” salmon, only run on odd number years in Puget Sound. They are the most numerous of the salmon species and make for a great fishing charter, especially for groups with children or novice fishermen. The flesh of the Pink salmon is more tender than other species but when properly cared for by your captain, make excellent table fare and great smoked salmon due to their high oil content. Your captain will use several techniques to catch lingcod on your Seattle fishing charter, from you catching your own live bait to using special lures depending on the conditions and what they’re eating on that day. Dungeness crab fishing is also possible during certain periods of the year as the seasons allow. Abundant in local waters, “Dungies” as they are known, possess a delicate, sweet flesh that most folks love. Dungeness crab fishing is a “hands on” fishery that lets you assist in the setting and retrieval of the gear. If you would like to fish for crab on your charter, let us know at time of booking.